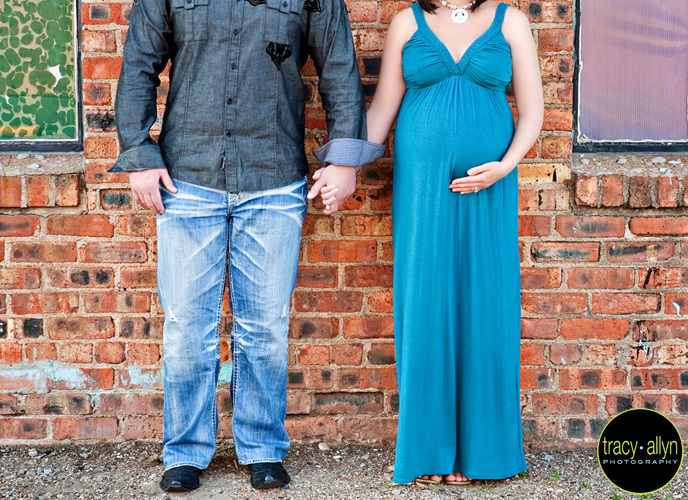 When Steven and Lena contacted me for a baby plan, they told me a little bit about themselves. Over the phone I learned that Lena is from the Ukraine and that it is really important that they are able to share the images with her family there. I also knew that Dallas was an important part of their lives together and we planned for a skyline shoot for part of the session. But what I love about sessions is you really get to know people even more throughout the time spent together. I loved hearing the stories about how Steven proposed on the way to Reunion Tower. I also learned through this story that Steven is a true romantic... and a little crazy for stopping on a highway bridge, pretending to have a flat to get Lena out of the car to propose with the Dallas Skyline in the background. I wish I had been one of the lucky passersby to have witnessed that! They also used to live around Victory Plaza so they showed me a great spot that we just had to end our shoot. The little "park" was right outside where they used to live. When this little girl arrives, I will be honored to shoot her newborn pictures. As Lena said, "she is already loved" and "we have been married for five years and have been waiting on our little miracle just as long." Congratulations on your beautiful pregnancy, Steven and Lena. I can't wait to meet your bundle of joy!